As I type this, the countdown is t-minus three days until my family moves from the San Francisco Bay Area north to reunite with our extended family on the Eastside of Seattle, as I begin serving a new congregation as their pastor. For my husband and me we have so many memories of our ten years here in California; we arrived as newlyweds and we leave as a family of four. But for our young children, our almost 4yo daughter and 3mo son, they will carry few (if any) memories with them of this place where they were born (especially our 3mo son!). Since they will forever write “Walnut Creek, CA” on every form that requests their birthplace, I wanted to have a ritual for our home that both celebrated God’s goodness in this place and captured some of my daughter’s memories from her own perspective. The following ritual is not only appropriate for saying goodbye to a home as a family moves on, but is appropriate anytime to do as a family. It is sculpted with the intention that someone is videotaping it, though that is not necessary. Choosing to videotape this will capture a particular time in the lifespan of your family – when the basement was used as an office or when sleeping bags were used for sliding down the stairs ALL THE TIME. It would also be great to do before the arrival of a baby or the departure of an older child to college or life outside the family home. This may also be done in segments – a few rooms a day over the course of the week depending on the attention span of your children. This is what we did with our daughter. I included a longer list of questions aimed at helping to trigger shared stories and memories; use what works. Shape this with your own language and with what will fit with your family (again, this was targeting our almost 4yo). Introduction – explaining the plan. We are going to take some time to go through each room in our house. We’re going to think of all the fun and wonderful things we do in each room and talk about them, then we’ll say a short prayer at the end and thank God for each room of our house. Won’t it be fun to see this a few years from now? Opening Prayer – as you begin. 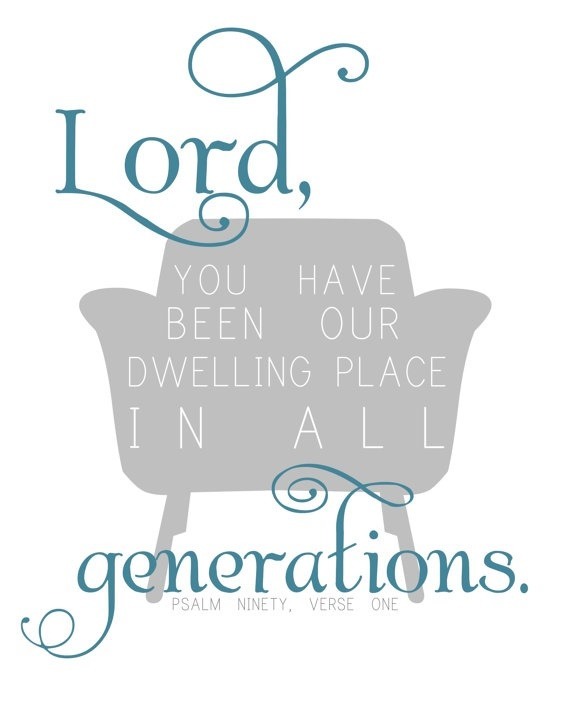 Thank you God for our home. You have given us this place we love, where we spend each day – sleeping, eating, playing, working, and enjoying the life you have given us together as a family. We take time now to celebrate each room and give thanks to you – all in Jesus’ joy and in his name we pray, Amen. 1. What do you love most about this room (space)? What is your favorite spot in this room (space)? 2. What is this room used for? 3. What kinds of things do we do in here? (May need more specific leading questions: …when we sit on the sofa, in the evening, first thing in the morning, what did we do last night, at Christmas time, for birthdays…). 4. Who has been here with us? 5. What I think of is… (fill in some of the memories YOU hold dear of your children in that space, again, especially if making video this is a great way to capture what you have valued). 6. What does your brother/sister/mom/dad do in this room? Before exiting each room – a brief prayer of thanks. Thank you, God, for [this room, backyard, etc], and for [a few specifics memories that were shared]. Amen. You can include each room, garage, yard, cars, street – choose what’s right for your family. That’s it! This would have worked best to do BEFORE we began the staging and packing of our home; so much changes in your home once you begin the process of moving. My first attempt to film our daughter was (finally) only a week before our move and she was too emotional to really engage with the experience. BUT what worked really well was to walk through the empty house, to answer these questions casually, to thank God, and to say goodbye to each room. I was surprised by what my daughter remembered (and what she did not). I did wish that she would say more than she did but what she did share is a precious gift as we leave this home, community, and life that we have treasured. Thank you, God, for the shelter you provide for us and the joy of living each messy, beautiful day!